I had the itch as many people do. I had so many thoughts, ideas, emotions, and drives to do much more in my life and career. Many people, in many stages of life, have the urge and energy to craft a new direction, solidify long term goals and vision, and figure out how to achieve their dreams. After leaving a successful, 6 figure salary career at Boeing and working with a great group of people, I spent time integrating, visioning, and designing an Experience to help people transition through various stages in their life but also how that interrelates to their businesses and careers. The Next Callings Experience was born out of the desire to serve people with an in-depth, purpose driven approach to designing, planning, and transitioning to their next stages and hopefully, to their Next Callings (hence the name!). This Experience is for people needing a purposeful, interactive, and guided approach to the why, what, how, who, when, where of their next transition and Callings in life. Whether it's pursuing a radical career change, orchestrating a mini-retirement, or taking the next major step in life to retirement and the Freedom-to-Work stage of life, the Next Callings Experience will help produce panoramic clarity and momentum for action. Customers have found many benefits and have been positively surprised by what the results are from working with me in the Next Callings Experience. Clarity, energy, renewed purpose and direction, and detailed action plans are but a few of the beneficial outcomes. I felt it was a good time to describe the Experience and provide an overview in the hopes that it can perhaps give people some structure to work on their own or perhaps deeper insight into how the Experience could benefit them if they work with me. Please sign up for a Free Consultation Here if you're interested and we can start your Experience now! The roots of the Next Callings Experience are in my background in Industrial and Systems Engineering as well as Philosophy. I took the best of the approaches from the Continuous Improvement domain knowledge in Industry and Organizational Improvements, many resources and books I've read and applied over the years, and created some new frameworks I felt were necessary to really get to the heart of what my customers desired and needed from an experience like this. I believe that this kind of work is really important in our society, at this point in time, given the level of inputs, relationships, influences, activities, and general complexity in our lives. I felt this is one way to decrease the noise level in our levels and improve the signal so that we Live our life instead of Life Living Us. My customers describe it as a really unique and powerful blending of creativity, analytical thinking, and deep personal work that is rare in the Personal Development and Lifestyle Design world. My goal for the Next Callings Experience is for my clients to come away refreshed and energized, but with tangible takeaways that are useful now as well in their future practice. Part of the Experience is training to use the methods, models, and thinking processes in the future so that the value extends well beyond the 2 Days (~16 hours) we spend together. The output of the experience is a digitized and hardcopy of a portfolio of the work we did during the Experiences 5 stages. While we work in a hands on, workshop setting in a meeting room convenient to my clients, using sticky notes, sharpies, and white boards, I have the results digitized and printed as a final result. Included in that portfolio are suggested approaches for future practice and commentary from me. The Experience is composed of 5 stages, each with their own purpose, outcomes, and themes, which are designed as a cycle that can be continuously practiced and evolved over time as you transition through various stages in life. 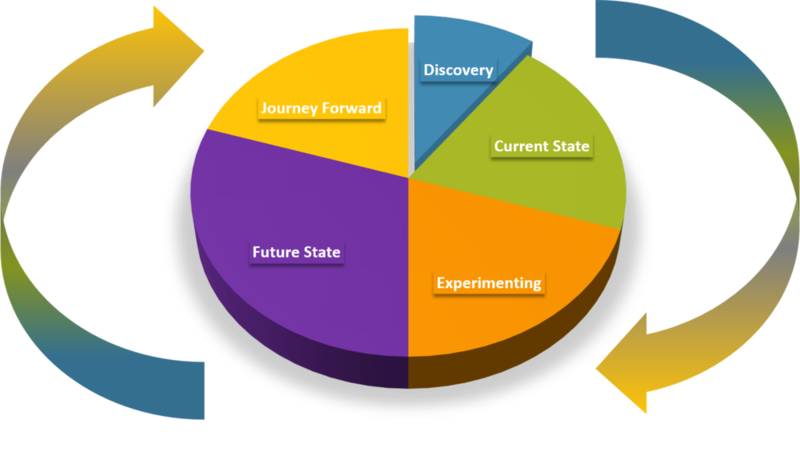 The 5 Stages are: Discovery, Current State, Experimentation, Future State, and Journey Forward. Purpose: craft your goals, desires, and intents around the Experience and why. We also discuss what comes next, what to expect, and how to do some pre-work before we get their so the in-person time has maximum value for ou. Purpose: Explore the Question "Who are you being today?" Overview: we utilize a variety of models and methods to map out your current way of being today in the following ways: values , capabilities/passions/service, community and stakeholders, fulfillment and achievement, and attention. Outcomes: have a systems level perspective of who you are today. 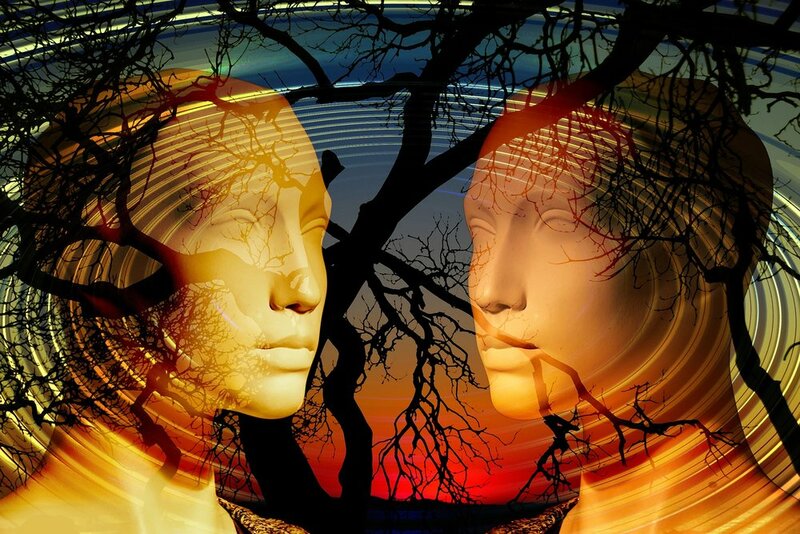 Overview: we have several "thought experiment" related conversations in the "Socratic Method" style where historical Philosophical Thought Experiments have been modified and adapted for the Next Callings Experience. Outcomes: expanded ways of thinking, insights that will be of value in the Future State design, and hopefully new skills in asking deeper and more interesting questions about who you are today and who you want to be in the future. Purpose: to create clarity about your vision for your future and Next Callings, whether they're 1 year away or 20. Overview: we modify several of the models and results used in the Current State and orient them to your future of possibility. We explore a wide array of dimensions for your future Next Callings and craft tangible interrelationships to achieve them. Purpose: craft a clear, actionable plan forward and generate the energy potential to take massive action to make it happen. Overview: Detailed action plan for the near, medium, and long term in pursuit of your desired Future State. A particular benefit of this stage is to train you how to develop strategic/high level goals and how to deconstruct them into clear, tangible actions that will take you in their direction. We also discuss several generic strategies to achieve your goals more quickly, robustly, and with meaning. Outcomes: Clear priorities, actions, and strategies to achieve your Future State. The Next Callings Experience was designed to be compact, high intensity - high reward oriented. It's also intended to be customizable where needed and also continuously improving as a model itself. There are a wide array of people in need of doing work like this. I encourage you to spend some time in your own way, at a minimum writing things down on paper or in electronic form, and figuring out at a minimum what are the next 3 steps you can take NOW to pursue your Next Callings. As always, feel free to contact me directly, schedule a free consultation, or comment below.